Angry high school students were driven over to the governor’s office in Tallahassee on Wednesday. Rick Scott was not in his office. He was at a funeral. 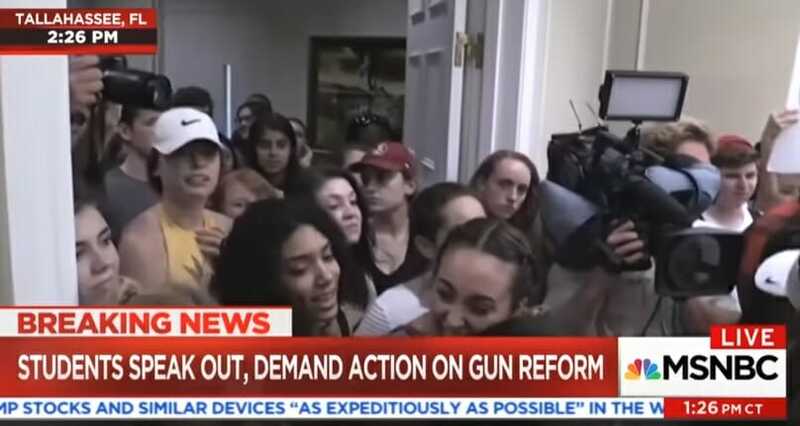 A spokeswoman for Scott’s office confirmed to The Hill that protesters delivered a petition and demanded an audience with Scott, who was not in the office at the time. The protesters represented students calling for stricter gun control following the high school shooting in South Florida last week. Scott’s office confirmed to The Hill that the governor on Wednesday attended a funeral for one of the 17 people killed in last Wednesday’s shooting, and plans to meet with groups of student protesters at 5 p.m. upon returning to his office.